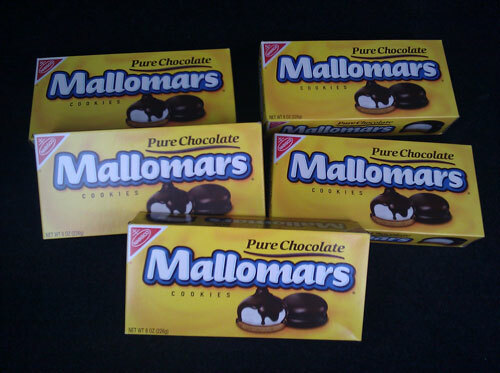 Mallomars are wonderful, delicious, almost too good to be true cookies that I can’t buy in Seattle. On top of that, Mallomars aren’t sold year round. They’s only available in the cooler months. What’s a guy to do? The truly motivated DIYer can make counterfeit homemade Mallomars. Still not convinced these are a cult fave? Read the New York Times piece about mallomars. Update: Good news, Mallomars have been sited here in Seattle at Metropolitan Market and/or Thriftway both in West Seattle. Meanwhile they’re sold as Dream Puffs in Canada though I’ve never seen them when I’m in Vancouver.